Traveling around the world with kids can be exciting and overwhelming. 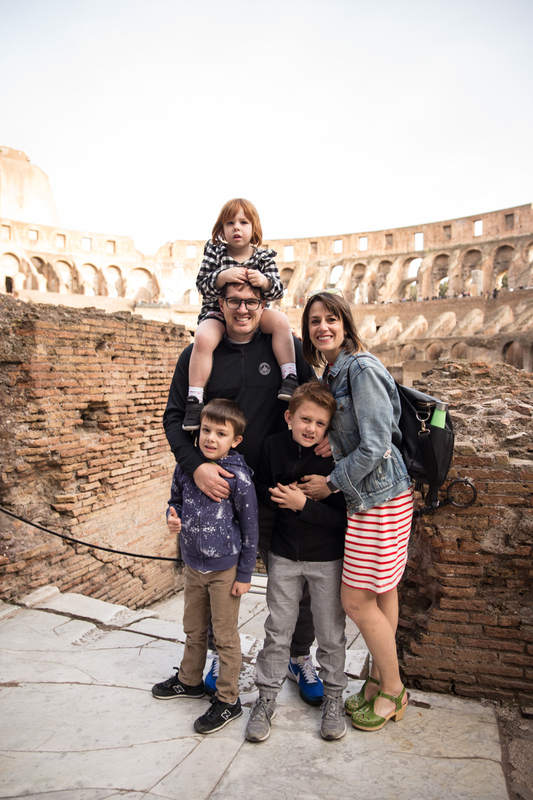 As we prepared for our trip to Rome with kids (ages 8, 6, and 4) I wanted to balance having an exciting, educational, history-filled vacation, with some relaxation, fun, and family play time. 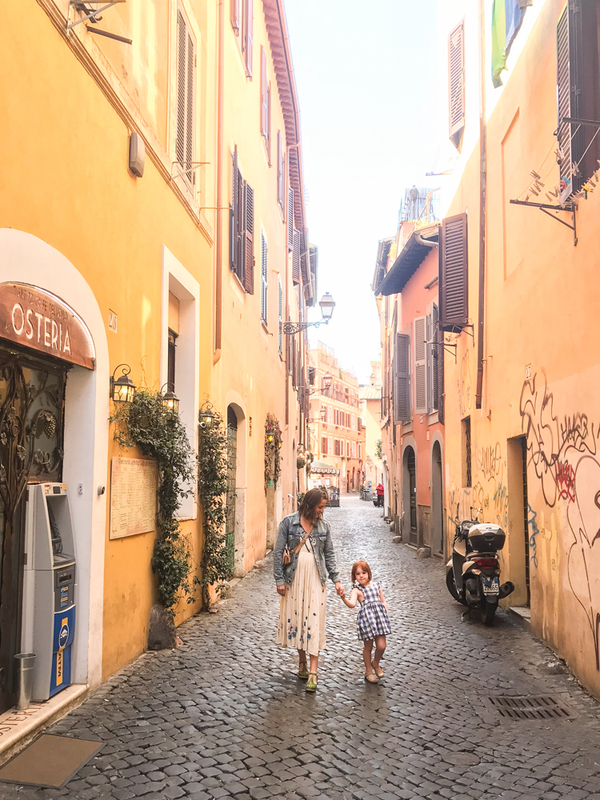 We used the following 5 tips to accomplish that great balance, and I hope you will find them useful if you are asking yourself how to explore Rome with kids. 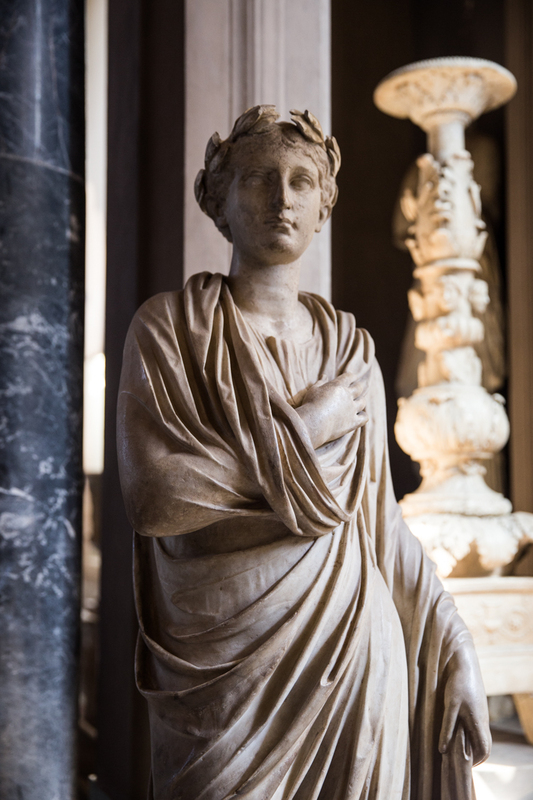 Our week-long trip to Italy included a few days along the Amalfi coast in Naples, Pompeii, and Positano, and the rest of the time in Rome. We didn’t want to spread ourselves too thin, knowing everything is a little trickier and takes a little longer as a whole family. 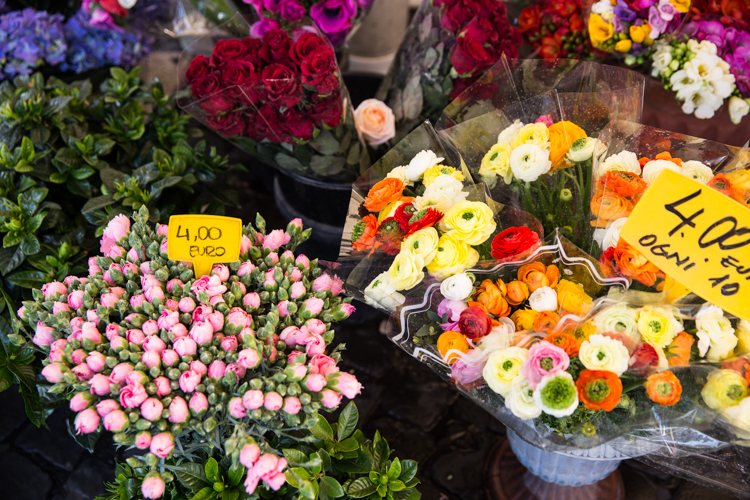 This post will share about our time in Rome, and I’ll link a follow-up post about our stay in Positano soon. 1. Stay nearby what you want to see. 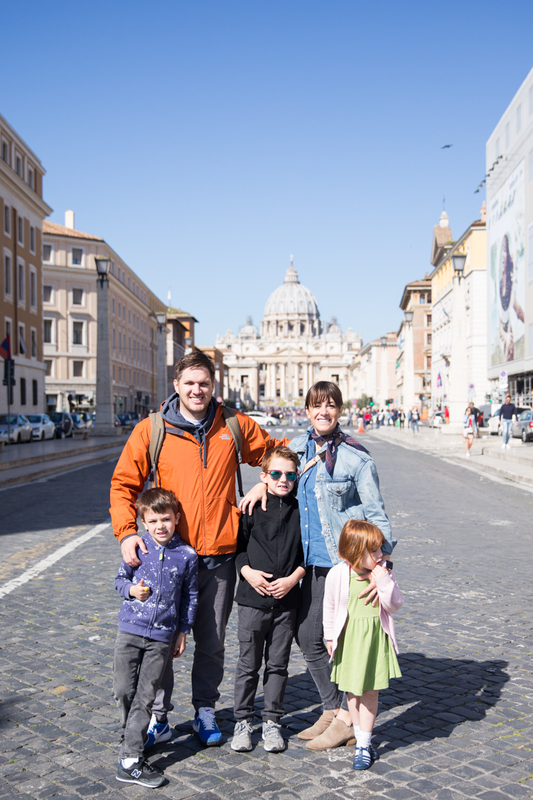 When traveling in Rome with kids, transportation becomes more complicated. We found it super convenient to find Airbnb flats to rent within a short walk of the neighborhoods we wanted to hang out in! We ended up staying in 2 different flats. We stayed in this great one our first night, nearer to the center, blocks from Piazza Venezia, the Colosseum, and The Roman Forum. The second was our main base in Rome once we returned from the coast. 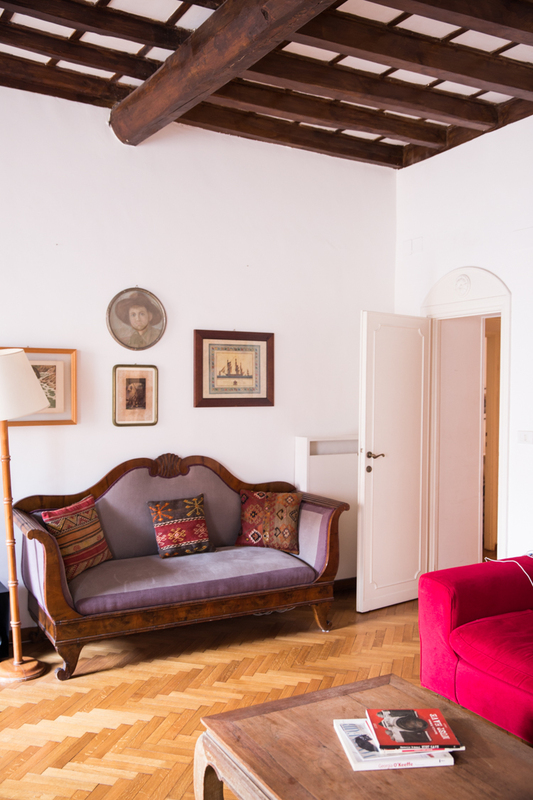 It was this gorgeous space on Via Guilia, just block from the river, with a ten minute walk to The Vatican, and ten the other direction to the hip Tresevere area. Tresevere: small, hip, local. 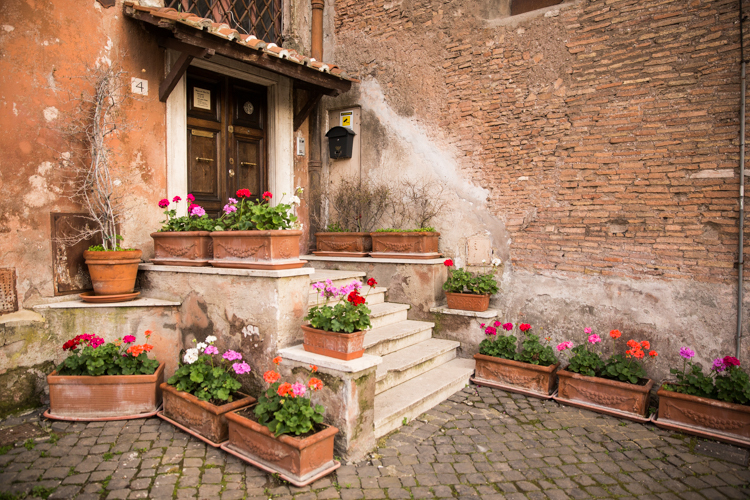 This neighborhood feels like that cool younger sister of the older, more touristy neighbors in Rome. We ate some of our favorite meals in this area (De Enzo is a must), and loved the very narrow old streets. 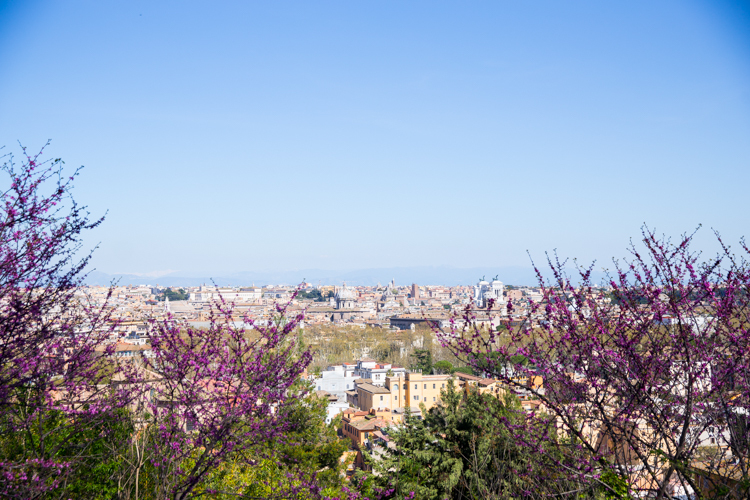 Staying here means you’re a little walk from the other, typical tourist sights in Rome, and would be a perfect place for a longer stay in the city with more flexibility. 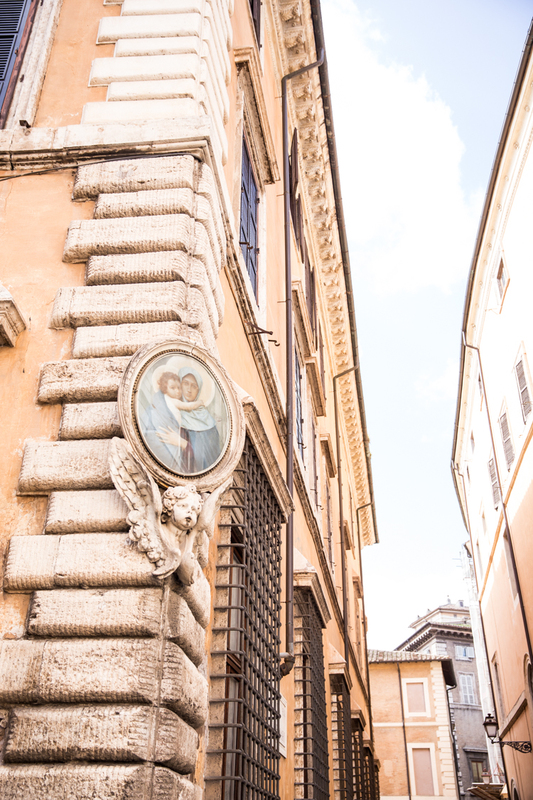 Centro Storico: mixed commercial and residential, walking from lots of different sights, quiet, near the river. This is beautiful area is a short walk from the main sights of Rome, without being right in the center of it all, despite the name. 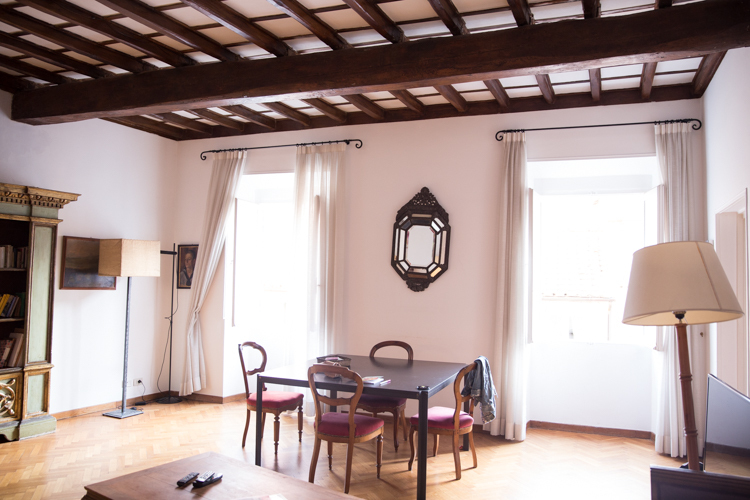 We loved both of our flats in this area, and almost anywhere you stay, you will be steps from cafes, shops, and taxis. 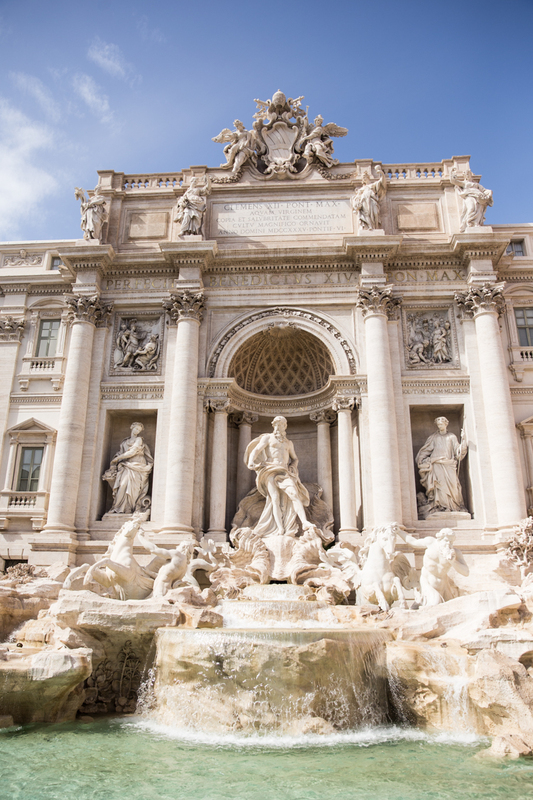 Trevi/Spanish Steps: busy, international shopping areas, touristy. 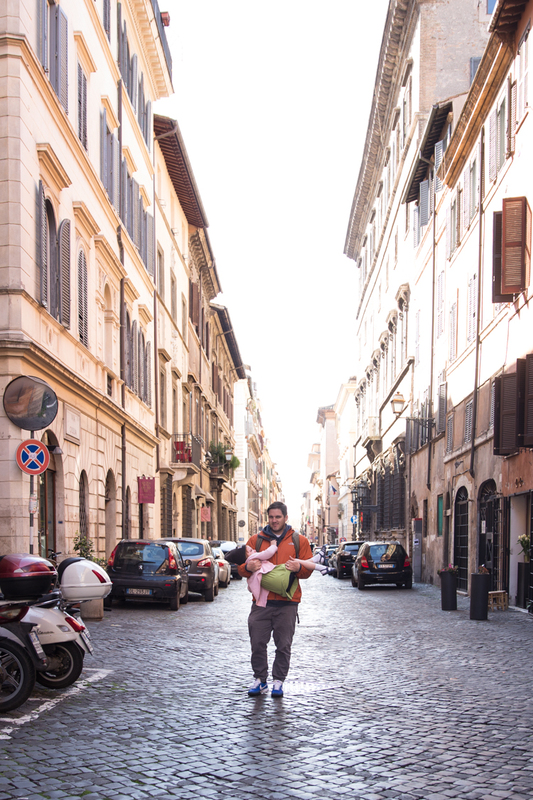 The closer you get to these main destinations in Rome, the more busy and commercial the area becomes. 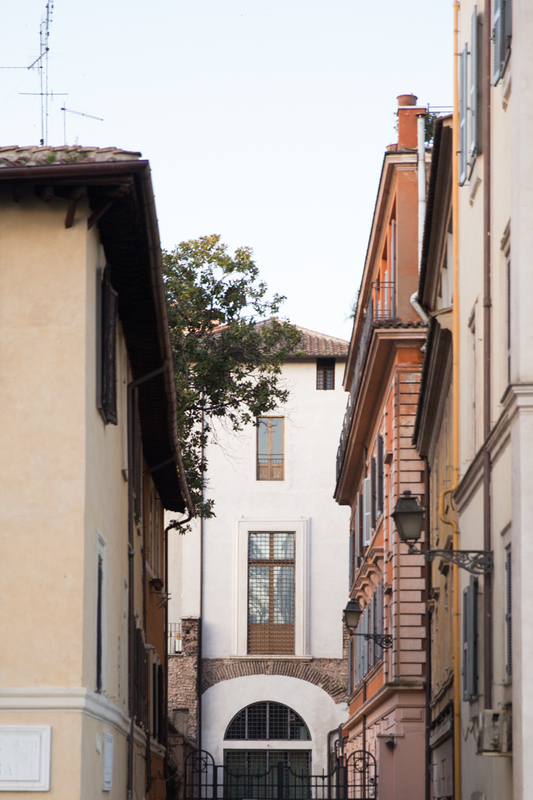 Across the street from the historic Spanish Steps, you can grab some lipstick at Sephora or a bath bomb at Lush. I tend to shy away from staying right in the middle of the most touristy stuff, but if you are into shopping and want everything at a stone’s throw, this area may work for you. 2. Choose 1-2 major sites per day, add in 1-2 kid-friendly activities. We found the best rhythm for sight seeing with our young kids was to break the day into halves, then try to see and do one sight and one kid-friendly activity in each. A morning adventure, and an afternoon adventure with a rest for lunch, down time, or break at the flat in between. With the major sights in Rome so close to each other, it was tempting to just go-go-go and see everything in one area at once. But we knew the more we stretched ourselves and the kids, the less we would enjoy anything. So, we choose one or two sights at a time, and made sure to plan in playtime at a park, playground, or fountain where they could play just for fun, as well. Of course, the sights you can simply walk past on the way to others didn’t feel quite as draining, so there were several we spotted, but didn’t necessarily spend much time at, and that was perfect. 3. 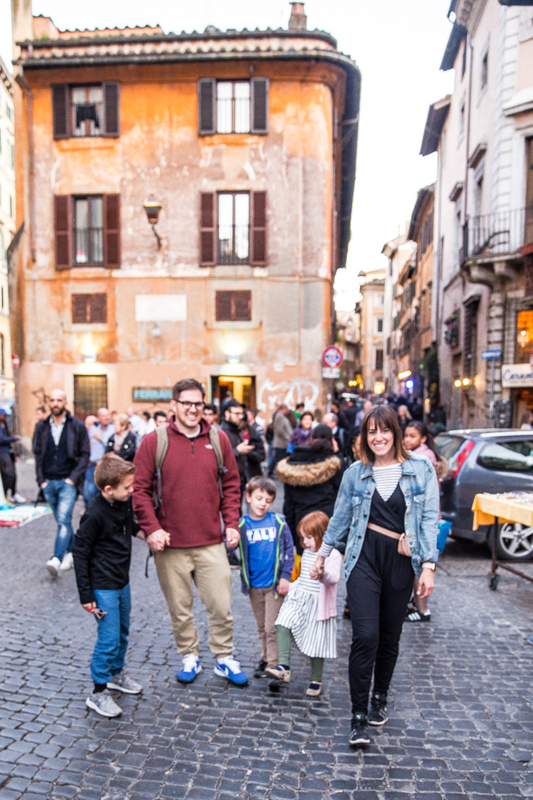 Know Rome’s Family-Friendly Tips. As we traveled through the city, we learned about a few very interesting and helpful tips that made all the difference in our sight seeing. Some of these tips saved us hours in line at attractions, the others allowed us fun experiences that the kids felt were just for them. 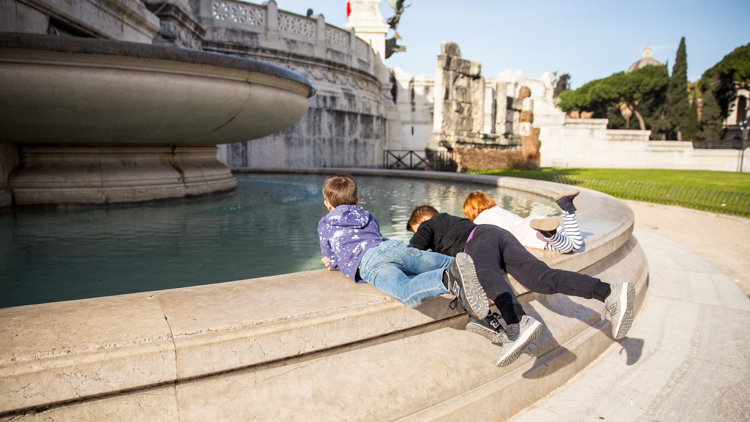 Use these ideas when you explore Rome with kids! Families can skip the line! If you have young children, you can walk through the pre-paid ticket line, and go inside to buy your tickets without a guide or a group. Simply walk to the front through the fast-pass line and the guards will let you through! Make sure to send a card at the Vatican post. We sent postcards to grandparents and one home to ourselves. Then follow signs to The Sistine Chapel. Young kids might not tolerate exploring the whole museum, but the Sistine Chapel is definitely worth the effort. It is breathtaking. Kids can sit on the steps in the chapel while adults must stand. 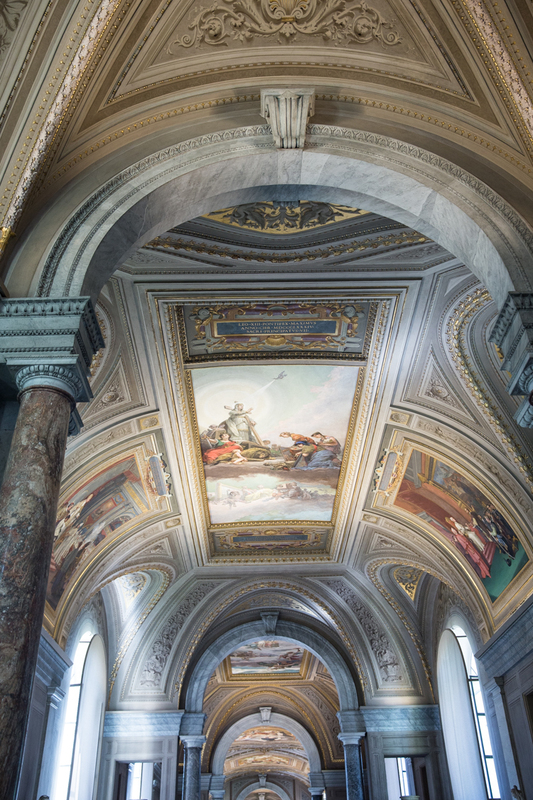 When you’re finished, use the “group exit” through the chapel to go straight over to St. Peter’s Basilica. This exit is intended for groups, but if you look like you know what you are doing, you can hitch a ride with a group through the doors, and avoid very very long lines into the Basilica. We did the whole round in about 2 hours and saw exactly what we wanted to see. This hill-top park has great view of the city. It is a bit of a long walk up, so consider a cab if your kids are tired. At the top, just past the viewpoint, there is a small children’s area with a bounce house, arcade, and puppet show on Sundays. 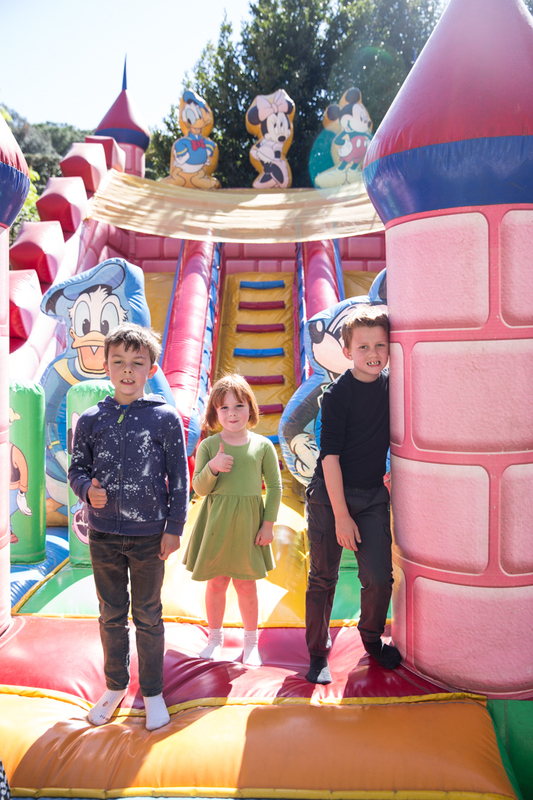 Our kids were in heaven! For another kid-centric break, head to Le Levain Bakery for great breakfast or lunch. Just steps down the street there is a darling neighborhood park with a playground for the kids to play on. Ours loved stretching their legs on familiar playground equipment, and riding on the communal scooters and tricycles in the park. For a shorter line into The Colosseum go close to the end of the day, about an hour before close. With young kids it would be hard to wander around much longer than that. 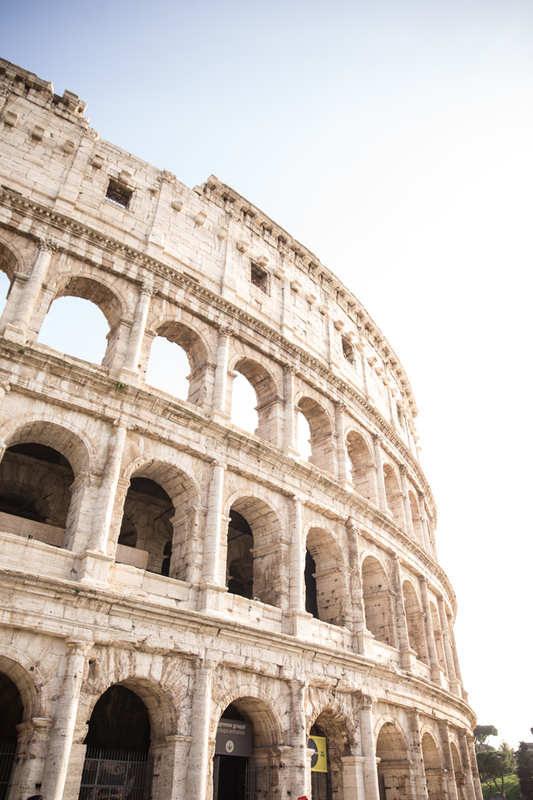 The tickets for The Colosseum and the neighboring Roman Forum are reciprocal, so you can use your ticket the next morning to skip the line at The Roman Forum! Just walk straight past the winding line into the park, where it will be so empty the kids can run and play without a crowd. 4. Eat gelato every day. This one may go without saying, but do it! 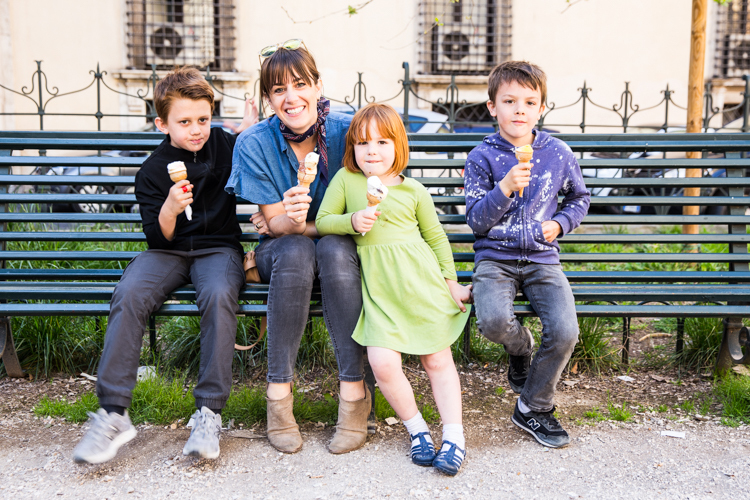 Getting to eat pizza and gelato every day (or even more!) makes the adventures in Rome so fun for kids. They get to experience the culture while enjoying some of their favorite treats. 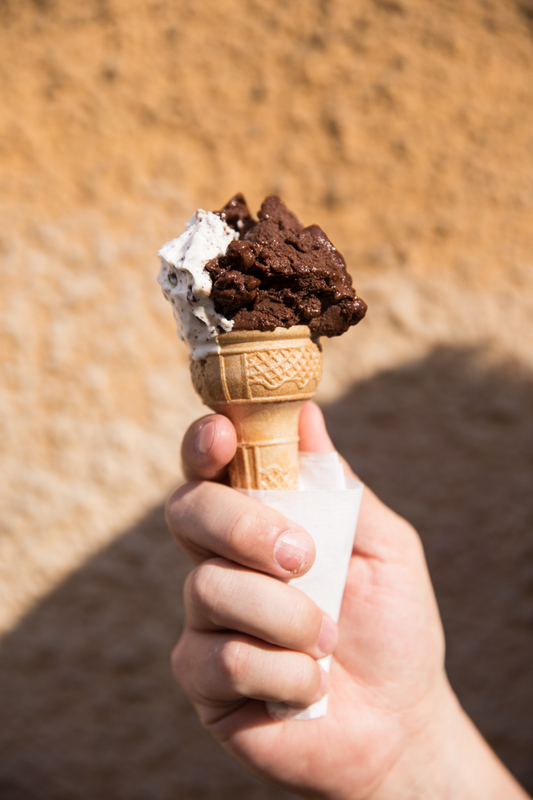 Venchi: This higher-end chocolate shop serves up scoops of decadent and delicious gelato. 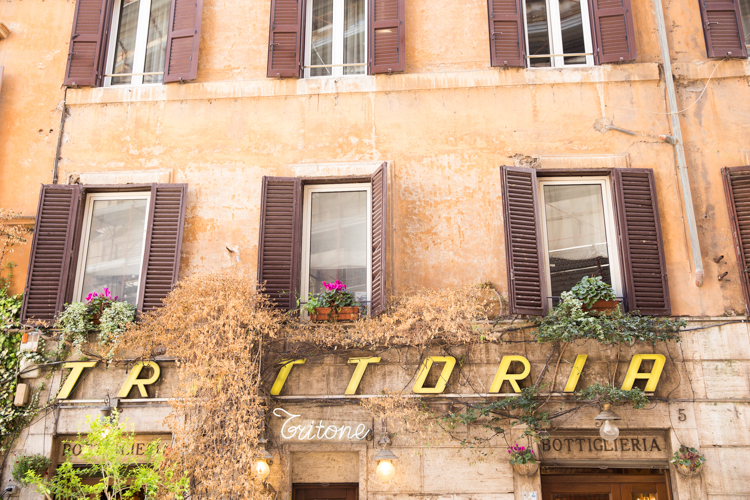 It’s in the busy part of town, a few blocks from the Spanish Steps, and is worth the wait. 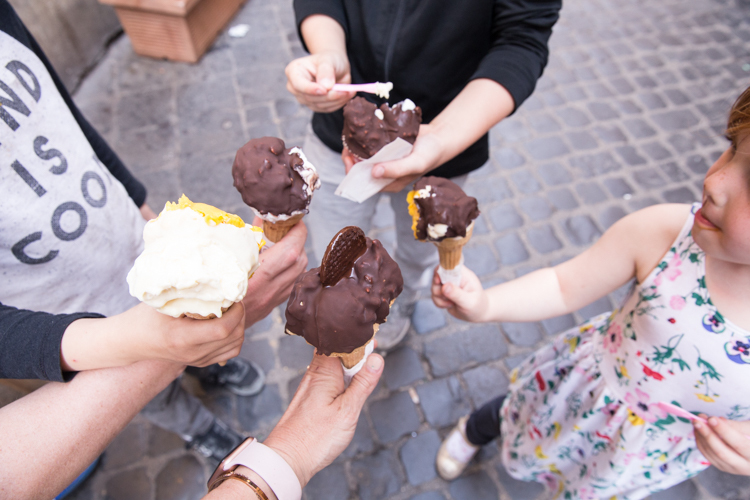 Frigidarium: We kept passing people in the streets nearby Piazza Novena with chocolate-dipped gelato cones. They were coming from this amazing little gelato shop on the corner, and the line was down the street. After a couple days, curiosity got the best of us, and we waited in line to try it. The flavors were delicious, but the chocolate dip was the most fun of all. You could choose white or dark chocolate shell, and mine came with a cookie stuck in the top as well! So fun. I Dolci Di Checco Er Carettiere: This was one of those after-dinner stumbles that ended up being one of our very favorites of the trip. This unassuming Gelateria in Trasevere is actually a fine pastry shop, that happens to have some of the best, most flavorful gelato we ate the whole trip! Al Conosseo: We hit this shop on the way home from The Colosseum, after ducking into the neighboring deli for ready-to-heat slices of flatbread pizza. It was delicious and we were so happy to happen by! 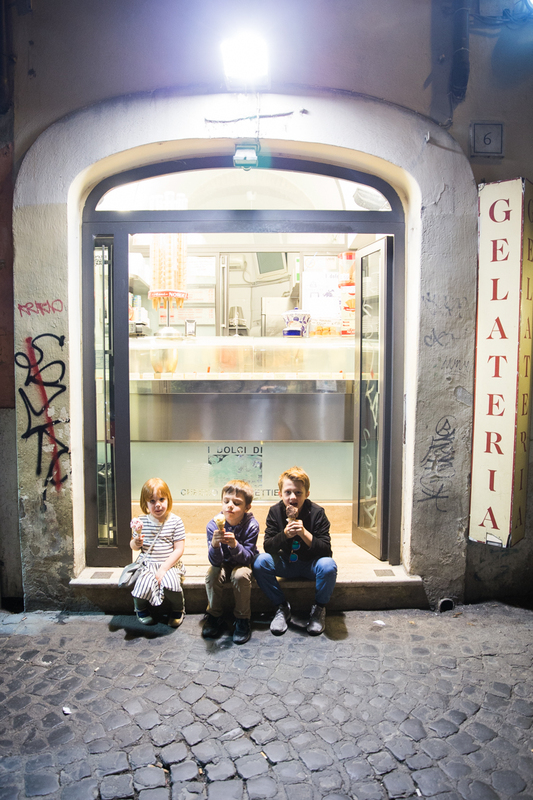 It goes to show, that really you could get a great scoop of gelato wherever you are in Rome. 5. Think through your transportation. 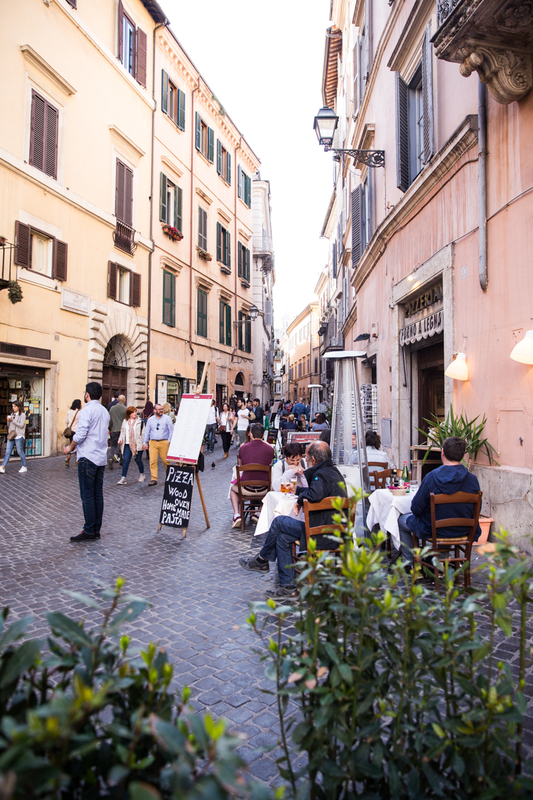 While things are mostly close together in central Rome, the streets are all narrow, cobblestoned, and filled with people, cars, and scooters. Consider your own families transpiration abilities and needs, and pack and plan appropriately. We don’t need strollers anymore, which was great because most of the streets wouldn’t have done well with one anyway. If I had a young enough child, I would have opted for a backpack or some other sort of baby-wearing option over a stroller. Definitely wear comfortable walking shoes, but you don’t need to go overboard and wear trainers every day. I was great in my broken-in sandals and clogs, and my four-year-old daughter wore her golden, heeled princess shoes everywhere. As the kids will slow down the pace and scale back the total distance covered, I didn’t feel like I needed to wear running shoes. There are little shops with snacks all over town, so you won’t likey find yourself without an opportunity to eat. There are also clean water fountains all over town, where you can fill up reusable water bottles. Both of those factors make walking from place to place pretty great. We did use a taxi at least once a day, and they are fairly easy to hail and pretty inexpensive, with an average ride in town totaling about $10 euros. Hitching a ride was a convenient option if someone was tired of walking and we weren’t in a place or stage of the day to sit for a meal or at a park. The cab offered enough of a break between activities we could get out at the stop and enjoy whatever came next! 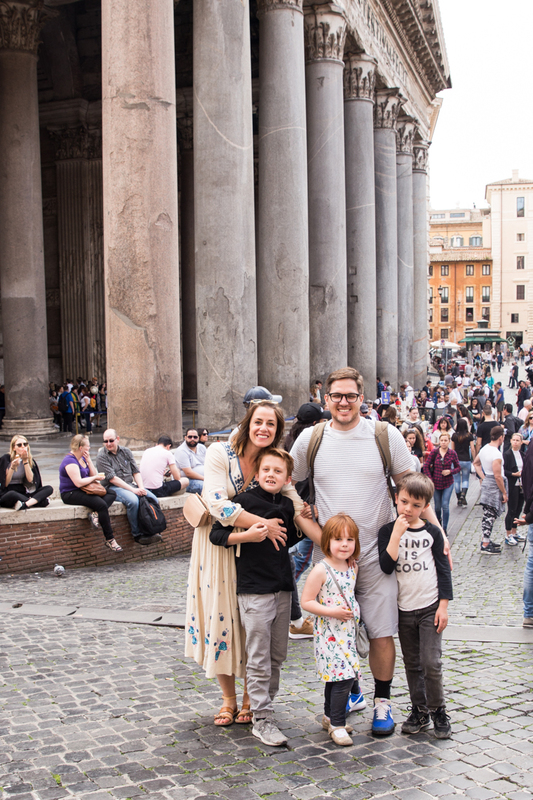 I hope with these tips you feel excited and empowered to begin planning how to explore Rome, Italy with your own family! The most important tip of all is to stay present, and remember that where you are in the moment is the very best place you can be. We didn’t try to see everything. We wanted to see some sights, leave time to play and explore, and we came away feeling like we got to know this beautiful city for it’s food, history, design, beauty and family friendliness! 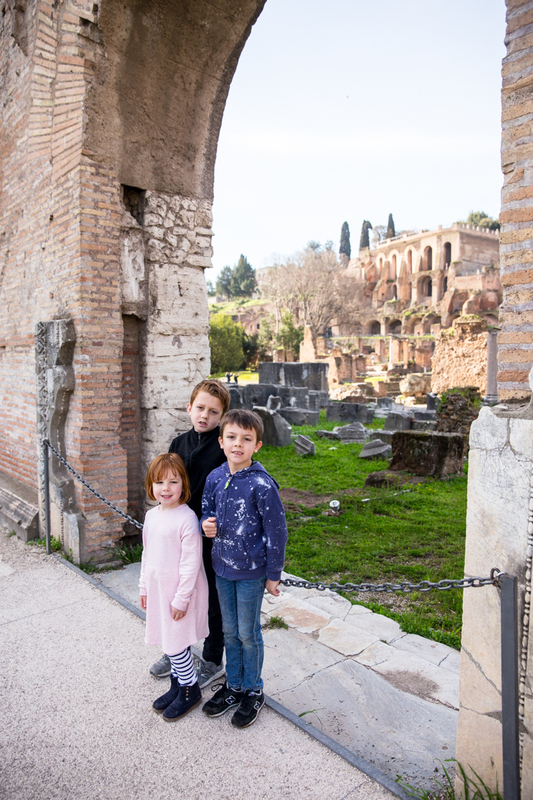 Have you taken your kids to Rome? What was your favorite tip or sight? I’d love you to leave them in the comments for us to learn from for our next trip!